Have you seen any of the Star Wars movies? I’ve seen some off and on. It’s my husband’s mission to watch them all with our sons. So, when I had the chance to see Solo, I let him take my tickets and see what he thought. His review is below. Solo: A Star Wars Story is the latest installment in the Star Wars franchise. 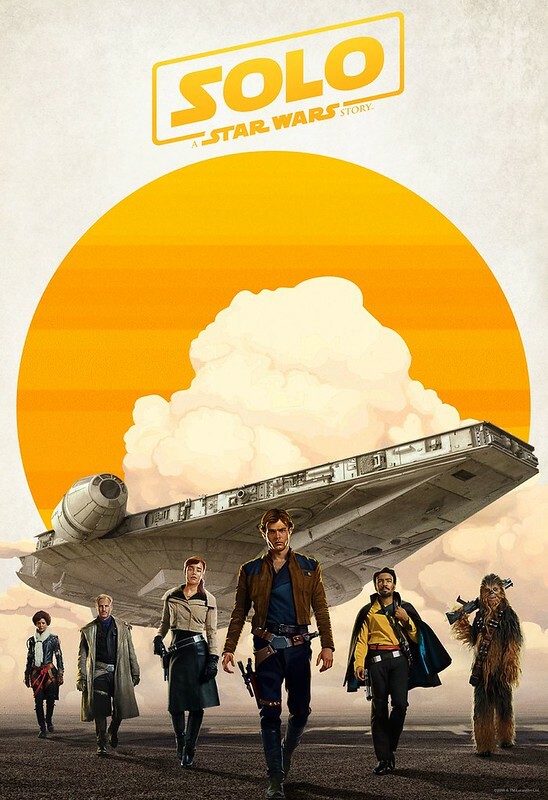 Solo is a stand-alone film and tells the origin story of Han Solo and his sidekick, Chewbacca. This action-packed adventure follows Han as he escapes his home planet, Corellia, and enters the seedy, intergalactic criminal underworld. Along the way, his naiveté and self-assurance land him some pretty precarious situations. I must admit that I am not an avid Star Wars fan. I’m not saying I dislike the franchise, rather I have never invested the time in seeing all the movies. I have a general understanding the overarching story and I am familiar with most of the characters. Even with a basic understanding of the Star Wars universe, I was able to easily follow the story and enjoy the movie. The movie is written in such a way that prior knowledge of events outside this movie is not required, although I am sure that would enhance the enjoyment. The challenge with a movie like this is that we all know Han Solo and Chewbacca are going to make it out OK. This movie does a great job leaving the “how?” in question throughout. The movie is fast-paced, exciting, and will keep you engaged till the final credits roll. Solo: A Star Wars Movie is in theaters today. You can follow the Star Wars series on Facebook as well. Let us know if you see the movie and what you think!